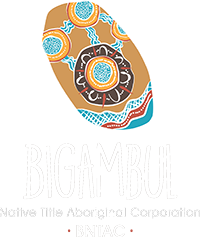 The Bigambul Native Title Aboriginal Corporation is governed by a Board of Directors which undertook a strategic planning process to pave the way forward for the Bigambul people. resilient, strong and empowered through leadership, knowledge and education that encapsulates self-determination, economic prosperity and independence. We honour, identify and occupy our continuous connection to country through our Ancestors and with our Elders so we can teach and grow our future generations and lay the foundations for a sustainable and thriving Bigambul Nation. thriving is a necessary part of the solution to broader Indigenous disadvantage in Australia. Through leadership, knowledge transfer and establishment of effective corporate governance, solid values and principles to create empowerment and resilience will continually enhance sustainability of the Bigambul Nation. Self-determination as an ongoing process which ensures the continuance of our people’s participation in decision-making and control over our own destiny as a Bigambul Nation. economic participation our collective primary aim is improving opportunities for the social and emotional well-being of Bigambul people.